I love this photo! 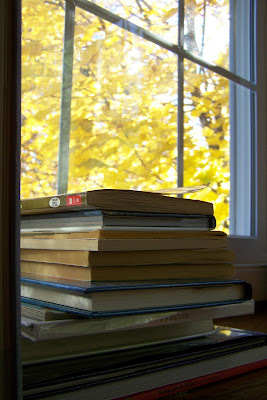 It makes me want to take one of those books and curl up with a view of the foliage. Beautiful! Makes me want to curl up with a book (or my knitting) and whittle away at the day with one eye out the window.